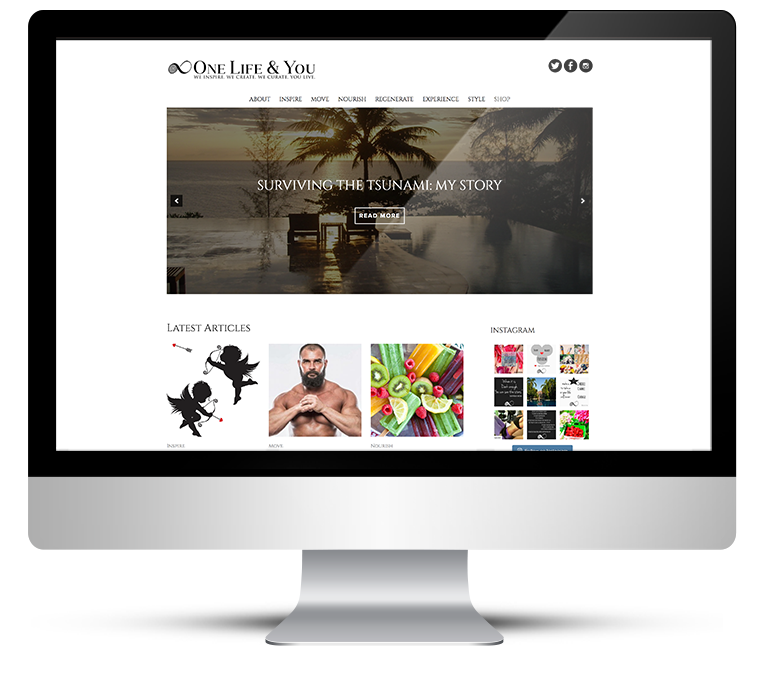 WordPress Lifestyle Blog, a custom website design for lifestyle and fashion blogger. 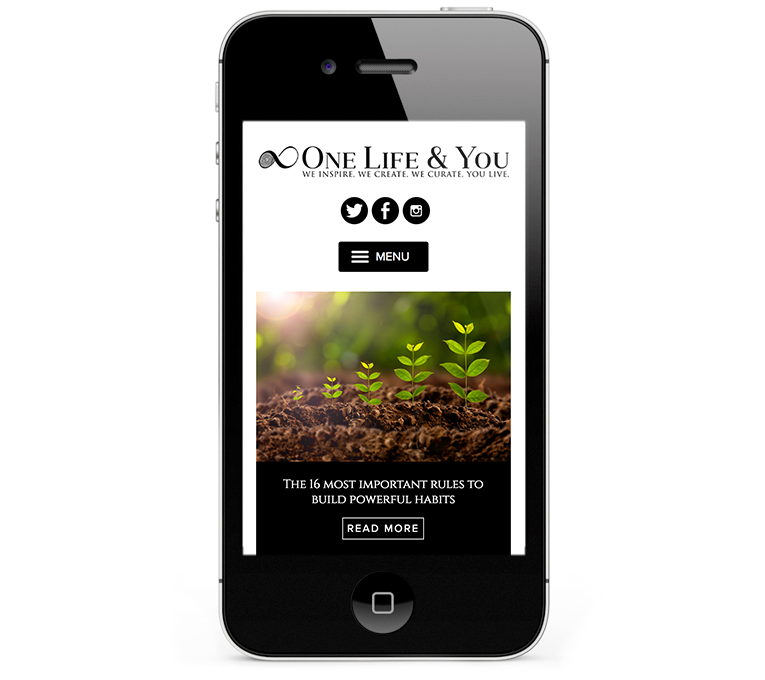 One Life & You is a happiness, positivity and empowerment digital publication platform with content curation and content creation aiming at visitors who want to live their best life and be their best self. It is dedicated to help people to achieve their wildest dreams and to live life fully with a focus on an active holistic lifestyle. This is a completely new website design, which is structured to Charlotte’s own PowerPoint layouts. The website is to be clean and crisp, black and white. 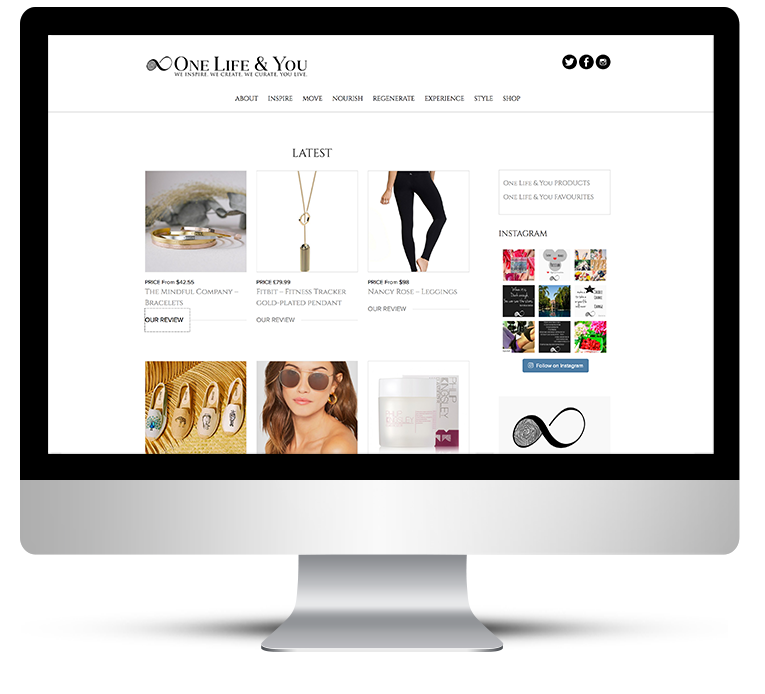 A categorised blog is required along with an affiliate store, which includes a product layout with links back to the original product websites for visitors to buy online. Instagram and other social media is essential as that will be pivotal to the success of this website. 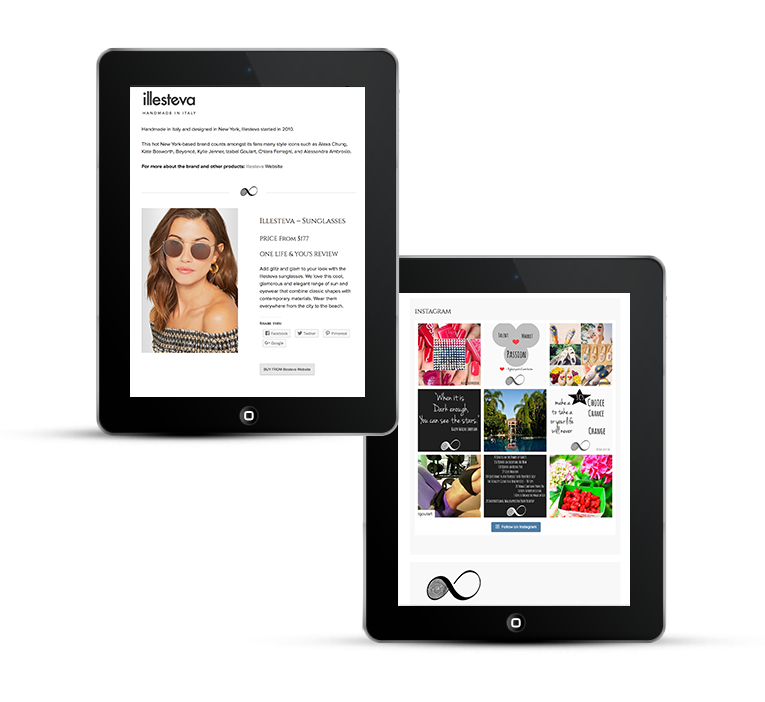 A content managed site is required, giving Charlotte the ability to add her own blog posts and products for review. A brand new WordPress lifestyle blog design is born. Black and white with shades of grey to compliment exactly as per the brief. For the titles and main highlights I chose the Cinzel font from Google fonts: Cinzel is a typeface inspired in first century roman inscriptions, and based on classical proportions. However it’s not a simple revivalism, while it conveys all the ancient history of the latin alphabet it also merges a contemporary feel onto it. It works so well for this website paired with Proxima Nova for the main body text. The blog is categorised with main categories and sub-categories. Tags also help the visitor to find their way. The store is sortable by product categories, product themes and brands. The whole website is very visual with images laid out in grid format with links to view more detail. Hover effects over images make the visitor interaction more pleasurable. 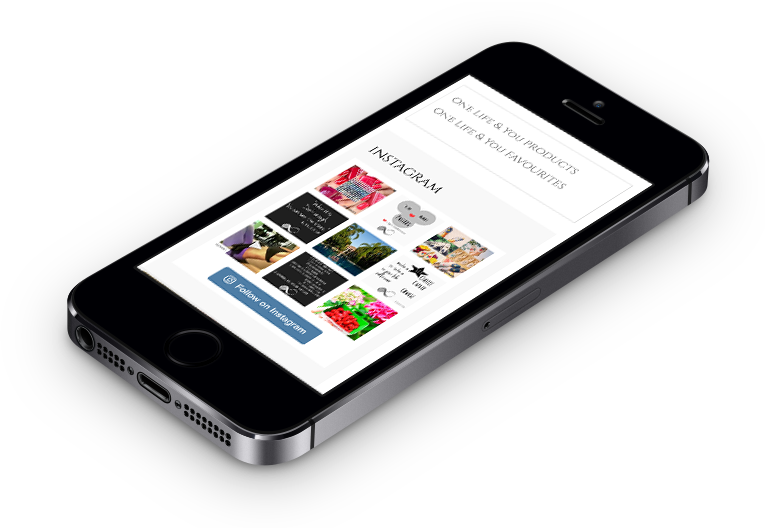 The regularly updated Instagram feed and newsletter sign-up form are visible on every page.